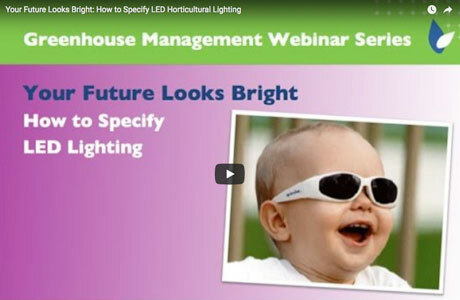 Growers select LED fixtures to control rising energy costs and increase productivity. But as with other greenhouse technologies, one size does not fit all. Before you make the leap, attend this webinar to hear from industry experts about how to determine if LEDs could prove a boon to your business. You’ll learn best practices for measuring your ROI, creating effective light plans, and adjusting light output to achieve your goals.